New Liturgical Movement: Information Request: When is Your Local Chrism Mass? Information Request: When is Your Local Chrism Mass? I am preparing an article which I hope to publish shortly before Holy Week on the subject of the Chrism Mass. 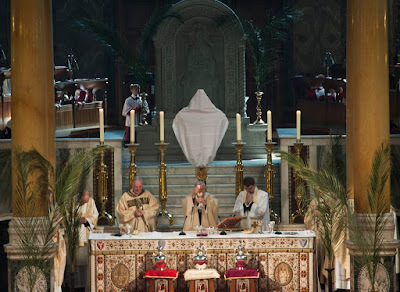 As I am sure everyone knows, the blessing of the oils is traditionally held on Holy Thursday; however, in the post-Conciliar Missal, a provision is made to anticipate (not, ad litteram, to postpone,) the Chrism Mass to another day “close to Easter.” I would ask our readers to leave a comment in the Disqus combox, as to when the Chrism Mass is held in their dioceses, and what is the reason given for moving it off Holy Thursday, if stated or known. Thanks for your help! 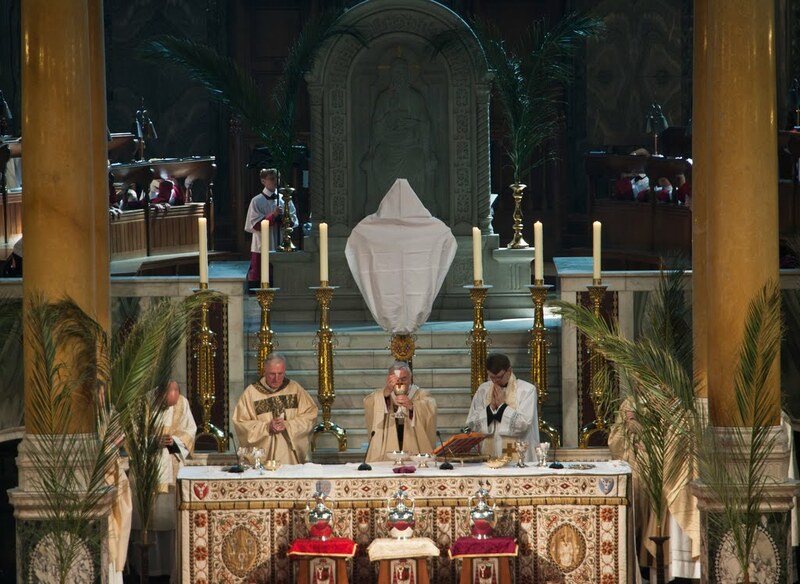 The Chrism Mass at Westminster Cathedral, from an article which we published in 2011.